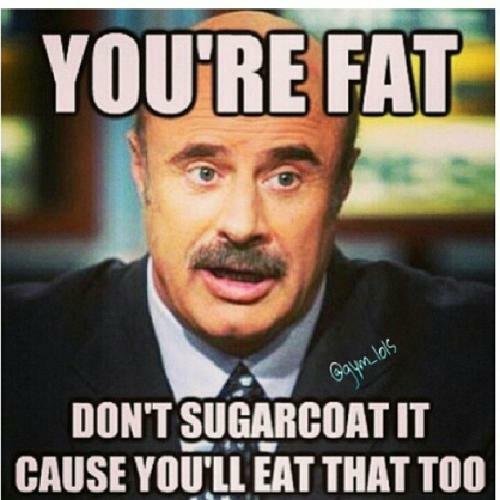 You're fat. Don't sugarcoat it cause you'll eat that too. Don't sugarcoat it cause you'll eat that too.